Blend all ingredients in a blender, depending on the power of your blender you may need to add a little extra water to get it moving. 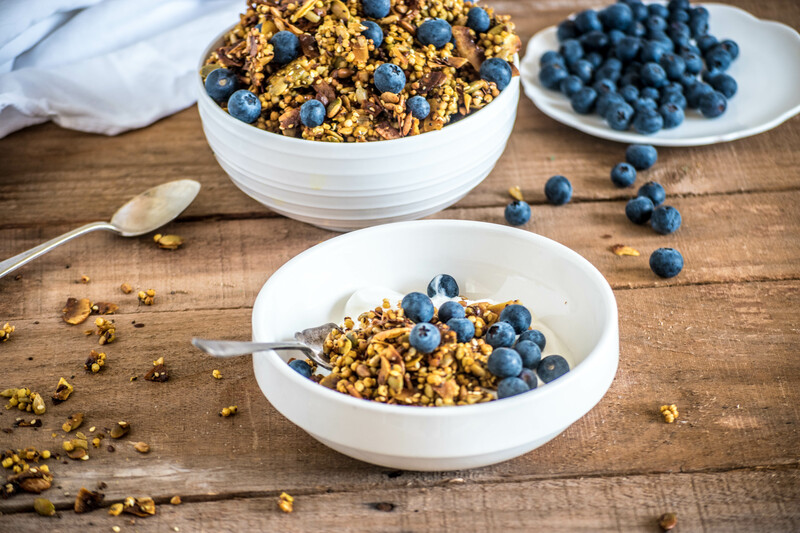 Pour the smoothie into a bowl, top with your favourite granola (here are a few of my favourites) and top with seasonal fruit. Is there anything better than the humble omelette? Acceptable for any meal time, the humble omelette can be dressed up in any way. Eggs pack a nutritional punch, as a great source of protein and many other essential vitamins. So there is no wonder Jamie Oliver added add this one to his must know recipes for the Food Revolution 2016. The theme for the food revolution this year is sharing the power of cooking and show people that is doesn’t have to be difficult (or time-consuming) to eat healthy delicious meals. It is too often we here people back away from cooking, because they don’t have the right ingredients, or the right equipment, or are simply too scared. 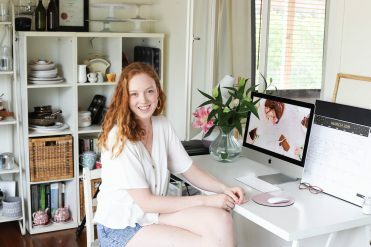 I am heading off to celebrate the Food Revolution at a local school in Brisbane, where we will be running activities, games, prizes for the kids, as well as brand new whole food based tuck shop menu. I am doing this in conjunction with the Healthy School Lunches program I am running at the school – And we hope this is just the push the school needs to change their menu for good! 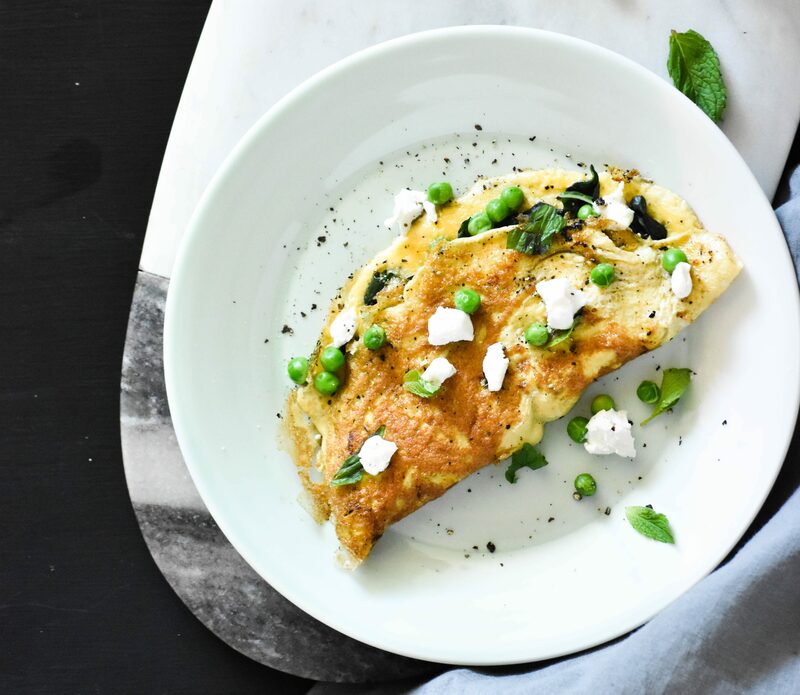 The Simple Cheesy Omelette is the perfect place to start. Once you have mastered it, the options really are endless in terms of fillings. When the team over at JamieOliver.com asked me to put my spin on it I was thrilled. Not only did they consider me a food photographer (what?? I only picked up my first camera a year ago), but I was excited to share my favourite combination and demonstrate just how easy it can be to make a delicious nutritious snack in minutes. But back to the food – because let’s face it that is why we are all here. Putting a ‘spin’ on the omelette was a no-brainer for me. I chose my favourite ingredients – that also just happen boost the nutrients in this classic dish. 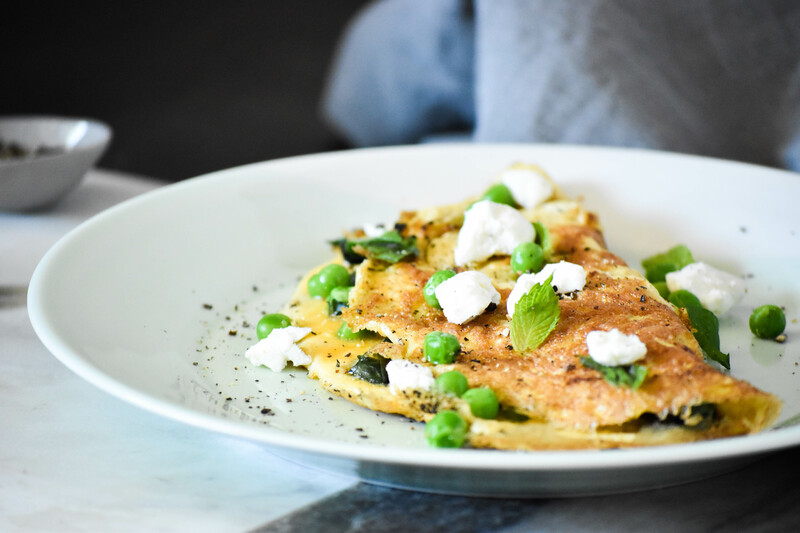 I am loving peas lately – while it is hard to come by fresh peas over here in Australia, they are one of my favourite ingredients to cook with. Then when it comes to peas, a sprinkling of fresh mint and goats cheese are a must. Spinach? 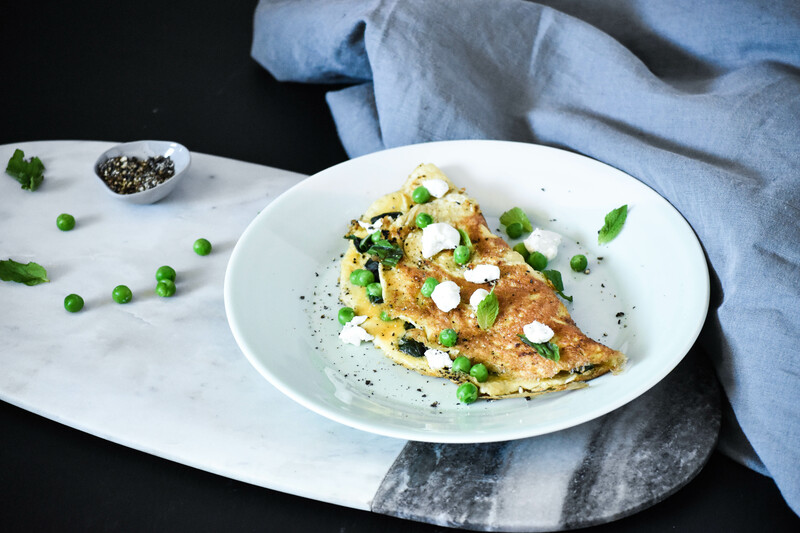 well, what better way to take this humble omelette to new nutritional heights. 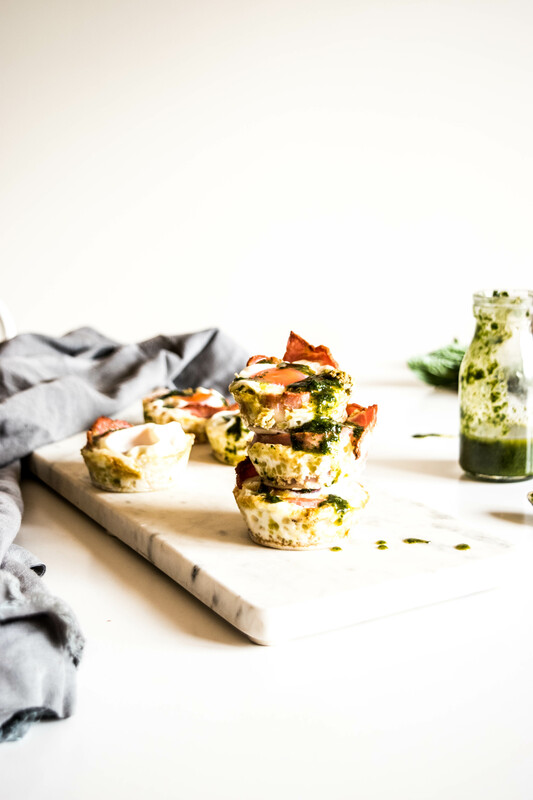 As a nutritionist, that is always my priority – after taste that is…. Crack the eggs into a bowl, season with a pinch of sea salt and black pepper, then beat well with a fork until fully combined. Place a small non-stick frying pan on a low heat to warm up. Prepare peas, shredded spinach, and crumble goats cheese onto a small board. Add 1⁄2 tablespoon of oil to the hot pan, then carefully pour in the eggs. Tilt the pan to spread them out evenly, using a fork to swirl the eggs around the pan a little. When the omelette begins to cook and rm up, but still has a little raw egg on top, sprinkle over the spinach, peas and half of the cheese. Using a spatula, ease around the edges of the omelette, then fold it over in half. When it starts to turn golden brown underneath, remove the pan from the heat and slide the omelette onto a plate. Top with remaining peas, mint and cracked pepper. Serve with a slice of whole wheat toast for a well-balanced meal. Mix all dry ingredients in a bowl. In a small microwavable bowl, melt the coconut oil for 30sec in the microwave and then mix in syrup and spices. Combine the wet and dry ingredients together and then spread out on a large baking tray. Bake in the oven (180C) for 15mins or until golden and crunchy. Store in an airtight jar for up to 3 weeks. Ok well not exactly green eggs and ham, but this is my take! 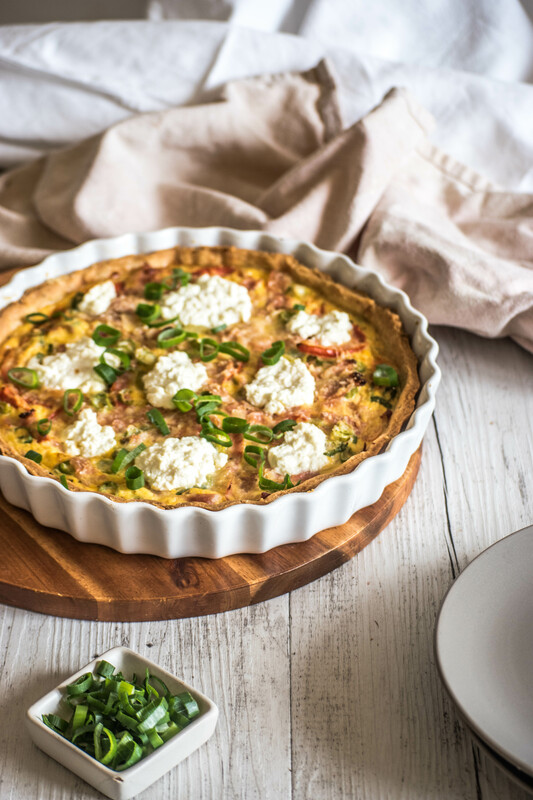 It is a super simple recipe, perfect for when you have guests for breakfast! I made this recipe for the Jamie Oliver Food Revolution Campaign. Prepare the bacon by removing the rind and meaty part of the bacon, all you need for this recipe is the long thin rasher, so reserve the remaining bacon for another time! Wrap one piece of bacon around the inside edge a muffin whole in a muffin tray. And place any off cuts on the bottom of the muffin cup. Repeat with remaining 11 pieces. Then place in a hot oven (200 degrees) for 5-7mins. Meanwhile, prepare the Basil Oil. Remove Basil leaves from stalks and place in a blender with oil. Blitz for 2mins or until smooth. 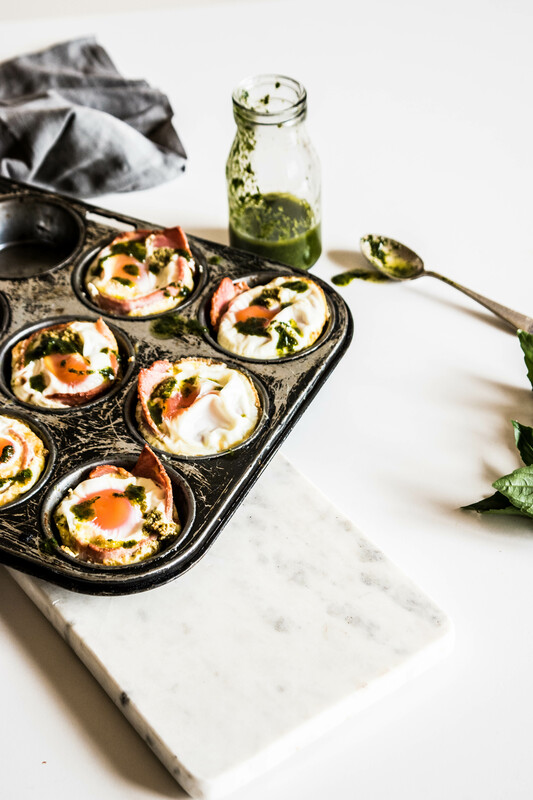 Remove from the oven and place 1tsp of basil at the bottom of each cup, then crack an egg into each one. Return to the oven for 10mins or until yolk of the egg is cooked to your liking (I love it runny!!). Remove from oven and drizzle with remaining basil oil, serve with crusty bread. Or store in the fridge for a quick mid-week snack or breaky! I eat everything – I am really not a fussy person…. expect when it comes to bananas. Yes, you read that right. I can not stand bananas. Trust me, I know how great bananas are, they really are the powerhouse of fruit!! But no matter how I try, I can’t stomach the taste (or smell). Where am I going with this? 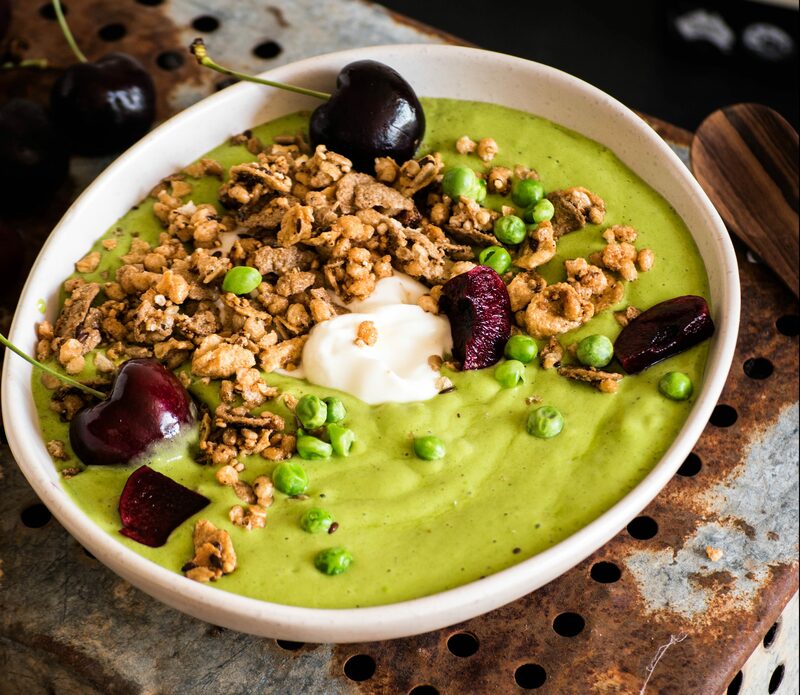 Well, every damn smoothie bowl out there is made of them – what is my best substitute? FROZEN MANGO. 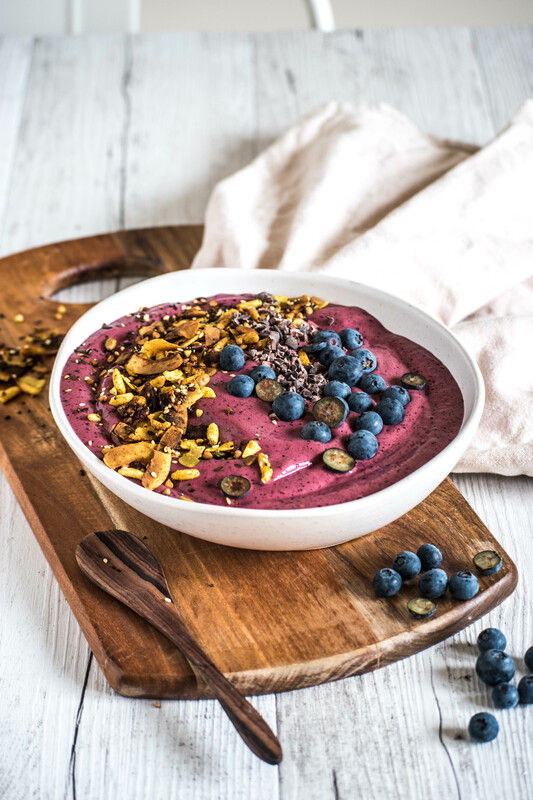 It makes for the creamiest delicious smoothie bowls. Though mango is slightly higher in sugar, so my favourite thing to pair it with is tart frozen berries! Add all ingredients into a blender. I use a nutribullet! Then blitz on high for 1-2 mins or until smooth. Pour into a bowl and top with you favourite ingredients. 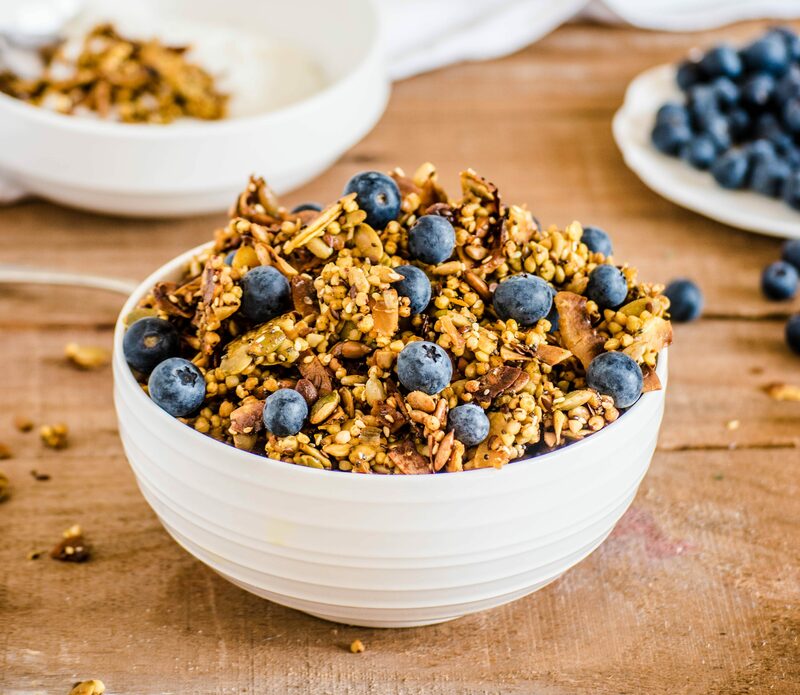 Some of my favourite are my home granola, blueberries and cacao nibs.